Today’s guest post is by Amanda Luedeke (@amandaluedeke), a literary agent with MacGregor Literary, Inc., and author of The Extroverted Writer: An Author’s Guide to Marketing and Building a Platform. Social media sites come and go, and Pinterest is the most recent one to see a major usage spike. Consequently, businesses and brands and marketing teams are feeling the pressure to infiltrate the site and use it for their purposes of getting you to buy, want, and need things or experiences that you normally wouldn’t consider. And people in publishing—including authors? We’re feeling the same push to be present on that platform. Let’s be clear about what Pinterest is: Pinterest is a site that allows users to “pin” images found on the web to virtual pinboards. There’s minimal text involved because it’s a visual site. It’s all about virtual scrapbooking and visual inspiration. To give you a better idea of what/how Pinterest is used, I’d say right now it’s probably the biggest fad among brides-to-be. They can have their wedding pinboards where they gather all of the pretty photos they see online and use them as wedding inspiration. So, why are authors feeling the pressure? I honestly can’t say, and if you’re reading this, baffled by corporate America’s desire to turn Pinterest into a marketing mecca, then you and I can have a drink sometime and shake our heads at marketing teams who feel they have to have all these online presences. Personally, I think your time would be better spent with more tried-and-true sites. But if you really connect with this medium and want do some professional pinning, here are five ideas. 1. Create a novel inspiration pinboard. 2. Create a novel comparison pinboard. Think of the authors within your genre who write stories similar to your own. Gather their book covers, author photos, and whatnots, and put them on a pinboard. This can be your “If you like ________, you’ll also like my book!” board. (If you have a published book, be sure to add it to the pinboard as well!) You never know when it might hook some potential fans. 3. Create an upcoming cover art pinboard. Fans love leaked images, so when you begin working through cover designs with your publisher (or even if you e-publish! ), be sure to “leak” the images to your pinboard. Ask for fan input and make them feel part of the process. Plus, Pinterest is designed to make it easy for users to share images. If you start seeing your book’s cover appear on multiple boards, you know you’ve got a winner. 4. Create a blog pinboard. Some authors see success with Pinterest when they consistently pin photos from their blog posts. This requires you to (a) maintain a blog, (b) include photos with each post, and (c) properly pin those photos. But the general idea is that if you end up with some photos that attract attention, people will click through to see where they originated. This is an idea I stole from the clothing store Express. During the 2012 holiday season, they offered a shopping spree to one lucky Pinner who put together an Express wish list. 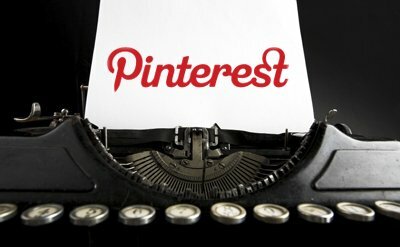 At the time this was written, Pinterest’s search engine was totally unreliable, so if you try this idea, you’ll need to develop some way for Pinners to let you know their boards exist. But the basic idea is that you ask Pinners to create holiday (or Valentine’s Day, etc.) wish lists in which they pin books that they want, including some of yours. One lucky winner will receive a prize. The ultimate payoff with this tactic is that it encourages family and friends of these Pinners to actually go out and purchase some of these wish list items as gifts. That’s what happened to me. I made my Express pinboards, and though I didn’t win anything, I received three Express items that holiday season from family and friends. Create great, concise descriptions of each pin, using hashtags, keywords, links, and more. Pin book covers from sites in which the book can actually be purchased. Tag every book cover pin with genre, author, and title information. What ideas do YOU have for using Pinterest? Let us know in the comments. Want to learn more about author marketing? Check out The Extroverted Writer from Amazon, Barnes & Noble, and Smashwords. Posted in Guest Post, Marketing & Promotion, Social Media. Amanda Luedeke is a literary agent with MacGregor Literary, Inc. Formerly a social media marketer, her new ebook, The Extroverted Writer: An Author’s Guide to Marketing and Building a Platform, is now available online. You can find Amanda on Twitter and Facebook. Thanks for the extra insight. I’ve been using Pinterest to link to my blog, but these other ideas really make the site new again! An excellent example of an author using Pinterest successfully is Lucinda Brant, a Georgian romance novelist. She finds the most incredible images of clothes, landscapes, furniture etc., and links them to characters in her books. Here’s the link http://pinterest.com/lucindabrant Enjoy! Thanks so much for the mention, Fiona. I’m so pleased you enjoy my 18th Century Pinterest boards. You have to do what works for you, Kevin. Marketing is a huge component these days, but recognizing when to NOT pursue a particular avenue will save you a lot of hassle and time. I’ve been totally confused by Pinterest. Thanks for providing concrete examples that authors can actually use. How do you deal with copyright issues for Pinterest? If, as you suggest, you use the photo of an actor you’d like to cast in a movie of your book, do you write to that actor’s agent for permission? The film studio? How about getting permission to use another author’s cover image? Do you write to the publisher? I know bloggers have been hit with hefty lawsuits for using copyrighted material. Does Pinterest get some kind of blanket waiver? If it doesn’t, a lot of these ideas might lead to trouble. I sent you an email about possible post dates for my blog and can’t wait to see what other writerly wisdom you will share with my readers. Thanks Jane for hosting this! I had never thought of using Pinterest this way! What a awesome idea! I use Pinterest for images that go with my WIP’s. Each novel has a board where I pin character templates, settings, important clothes, even a house floor plan if necessary. It’s mostly for my own use, but somehow I’ve managed to get over 400 followers without doing anything. Less than a hundred of them are Facebook friends. One of my friends recommended some of these tips to me last year, and whenever I feel like some corresponding images would help me in my writing, I go on pinterest and pin them to my board “Visual Aids for My Novel.” It’s quite handy when trying to maintain images for a made up world in different times. Authors who have blogs–remember to write a post now and then to tell readers what’s new on your Pinterest boards, especially if they illustrate a work in progress, a book location, etc. And have fun with it, too! Thanks for the tips! I’ve been trying to think of effective ways to use Pinterest. This will be a big help. I especially like the idea of a “Novel Inspiration” board. On my novel inspiration pinboard, I also created and uploaded maps and layouts of locations, such as houses and rooms. I use it as a reference while I’m actively writing, and it helps me to move about in the physical space seamlessly. LOVE the idea of creating a novel inspiration pinboard. Not even to market yourself, but to collect some visual inspiration, I don’t know why I never thought of it. Great post! Since I am also a photographer, Pinterest has long been a place I refused to go. However, these are great tips and I think your first tip could work for my historical novel in progress. I had planned to write some articles about historical figures and locations, so I may tie that into Pinterest. Thanks for the great ideas, Amanda. I use Pinterest in all sorts of ways. Being in a college English class, I have used it to gather ideas for projects and used pictures to post on my blog. Pinterest can help anybody from trying to sell their products to even getting ideas for your wedding. Great tips! I was wondering whether using Pinterest was useful or not. Now I have clearer ideas. Thanks a lot.